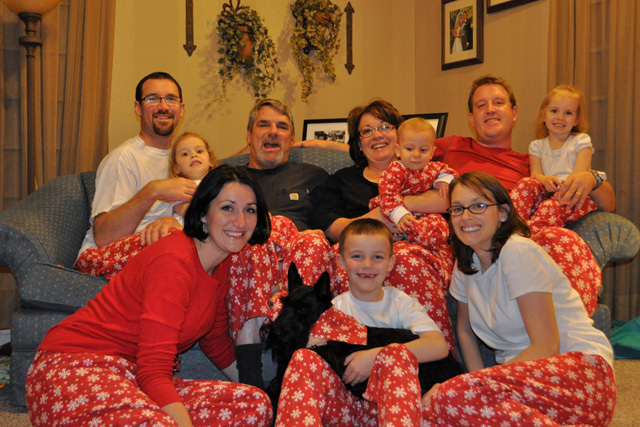 As another Christmas approaches the time has come to reveal this year’s Rigg Family Jammie Pants!!! I know you all have been waiting with bated breath to see what the theme was this year. Going with a more Holiday friendly print we have; Snowflakes. 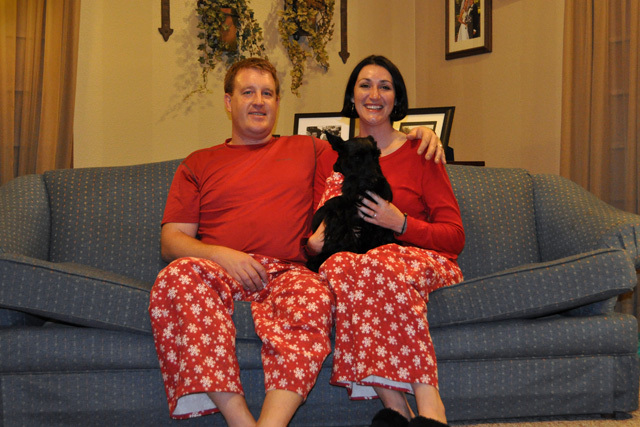 This marks our 8th year for matching jammies. We have just as much fun trying to get a photo as we do actually hanging out together. It always makes me laugh that for the rest of the weekend we spend together at least one person has the pants on in a photo. This is all made possible by the generous and loving efforts of my mother. 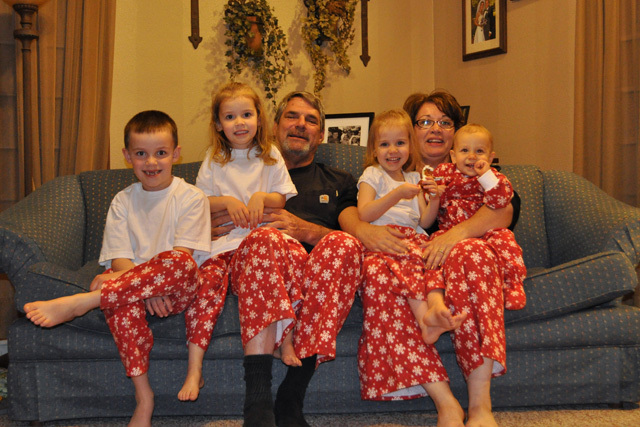 This entry was posted in Christmas 2011 and tagged Christmas Jammies, Christmas Tradition, Funny Family Photos, Matching Jammie Pants. Bookmark the permalink. You look great and actually, we were waiting to see the jammies. Glad Pippi is included with a matching bandana! I love your photos. Great idea and I think your scottie is just as pretty as my Pearl. You may see some of Pearl’s picture if you go to Pat Foster facebook page. I hope to soon have lots more of her there. You all have a very Merry Christmas!!!!! Ah! I love this! What a really great tradition! I love that they are all homemade too!